Los Angeles, Calif — The Los Angeles Clippers defeat the Portland Trailblazers 104-100 in a tough game where they overcame a 13 point deficit in the third quarter by outscoring the Blazers (38-16). 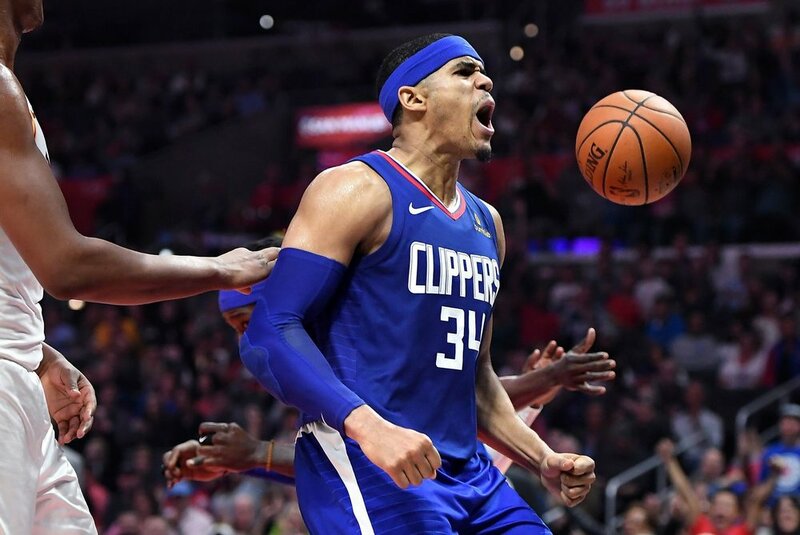 Tobias Harris came up big for them put up a big stat with 34 points (14-22) FG with 11 rebounds. It was a thrilling game that came down all the way to the end, with about 1:53 left in the game Damian Lillard made a 25-foot three pointer that was assisted by Meyers Leonard to tie up the game 100-100. Lillard played 41 mins and scored a team high of 30 points on (12-27) FG shooting. Danilo Gallinari was able to answer Lillard's shot with a clutch baseline jumper over McCollum with 47 seconds left to give the Clippers a two-point lead. In the final seconds, Al-Farouq Aminu missed a 26-foot three point jumper, Leonard got the offensive rebound and Lillard got the ball and missed a 17-foot step back jump shot with 32.1 seconds to go in the game. Clippers closed out the game it with Patrick Beverly getting an offensive rebound and was fouled with 2.6 seconds left he went to the free throw line and drained both shots. The Clippers made enough plays down the stretch to win another close game. The Clippers are now 13-6 and sit in first place in the Western Conference in their last 11 games they are 9-2. It is still early in the season but the Clippers are definitely making some noise around the league. A team with no quote on quote no superstar is playing like a superstar team. Up next for the Clippers they will face the Phoenix Suns at home on Wednesday, November 28th at 7:30pm PST.